The Premier League has given its support to the Indonesia Tsunami Appeal, launched by the Disasters Emergency Committee (DEC), which will offer relief and help to thousands of people affected by last month's powerful earthquake. At the end of September, a devastating earthquake measuring 7.4 on the Richter scale rocked the Indonesian island of Sulawesi. It triggered a tsunami that reached 18 feet in height and left a trail of destruction in its wake. More than 2,000 people were killed, over 1,000 are still missing and 10,000 were injured while 17,000 homes were destroyed. The Indonesia Tsunami Appeal brings together 14 of the UK's leading aid charities. "The Premier League has been a strong supporter of DEC appeals over the years," said DEC CEO Saleh Saeed. 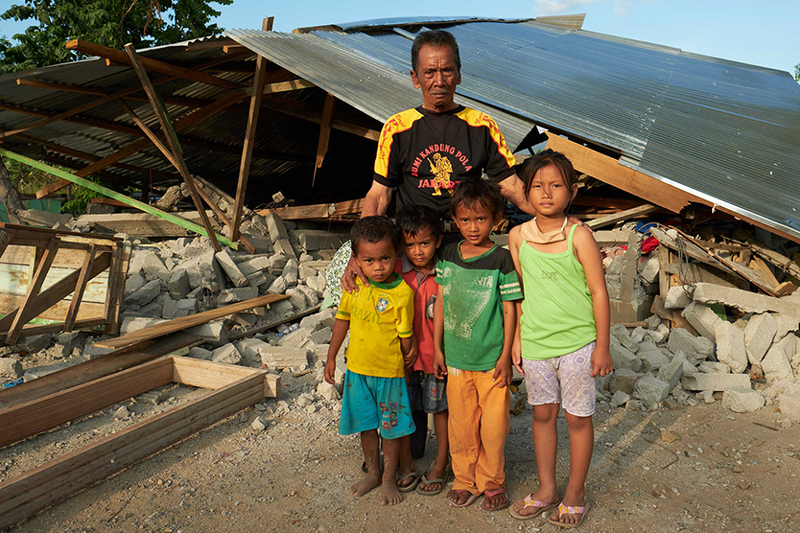 "I'm delighted that this support continues and will help to provide food, water, shelter and medical care to the survivors of the Indonesia earthquake and tsunami who so badly need our help following this devastating disaster." Last week, Liverpool donated UEFA Champions League shirts signed by first-team players to the appeal. Manchester City winger Riyad Mahrez also recorded a special message for 12-year-old City fan Rizky, one of the survivors of the earthquake.